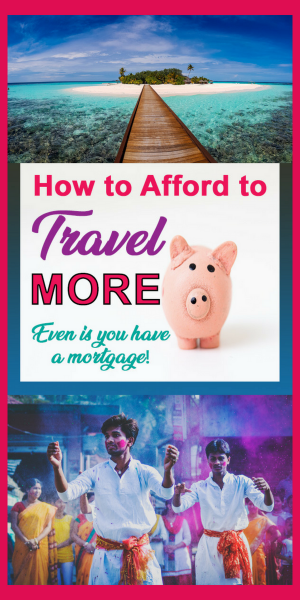 How to Afford to Travel More Often – Even With a Mortgage! The question I get asked most often is how I afford to travel so often! Now I’m the first to admit that I’m in a lucky position. Working as a locum doctor affords me a decent salary. That said, a doctors salary in the U.K is only a fraction of the salary in other countries like the U.S and Australia but more importantly, my outgoings are HUGE! Living alone in my small terraced house in Wales, I have a mortgage and bills to afford by myself. Not only that, but I have extortionate medical indemnity charges to pay every month – it actually costs me the same as my mortgage to be insured to practice medicine! So whilst I am lucky to be able to afford to travel frequently, there are still sacrifices I need to make to be able to afford this lifestyle. 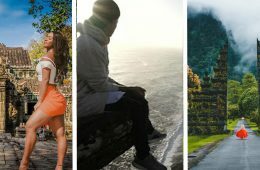 I’m pretty sure, if your rack your brain hard enough, there are some sacrifices you can make too to help you afford to travel. I’m constantly hearing friends say they can’t afford to travel. Successful, professional friends with good jobs and excellent salaries. Its true cost of living has risen steeply over the last few years and salaries haven’t exactly been rising at the same rate – especially in the UK public sector. But surely travel should be obtainable if you have a half-decent salary?! Yet time and time again, I see people put travel on hold, blaming finances as the reason. Now I ought to add, I’m not saying everyone should jump ship and sail off into the sunset. If you have debt up to your eyeballs, there’s no way you should be making that worse by turning your back on your debts and hoping it won’t catch up with you. It will. 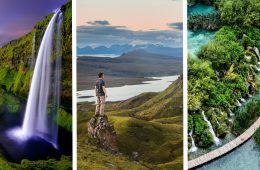 But if you’re financially comfortable, sensible with your money but yearning for a little more adventure in your life then read on to find out how you can afford to travel more! Yes, even if you have a mortgage! There comes a time in life when you are no longer willing to live off beans on toast and shop exclusively in Primark. I clung on to my old banger of a car for as long as I feasibly could until it occurred to me that it looked pretty unprofessional turning up at house calls in a car which looked like it was a whole lot sicker than my patients were! Similarly, living in a house share was fun until my late twenties when I started to yearn for a place I could really truly call home. 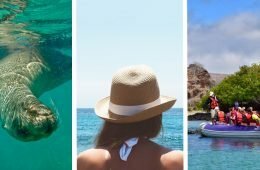 READ Adventure Bucket List Experiences to Make 2019 Amazing! But travel was still important to me. So how could I save for travel without compromising on the lifestyle I had become used to? Firstly it’s about committing to your plans. I’d spent years “saving” unsuccessfully for a house when my bank manager told me I should buy a house in the next 6 months before going self-employed or risk not being able to get a mortgage for at least 2 more years. It spurred me on to ACTUALLY save. Whilst I went on a few less shopping sprees and didn’t go out drinking quite as often, I can’t say I noticed a huge difference in my lifestyle. Without even realising it, having prioritised my mortgage, I was making lots of little financial decisions and the savings pot finally started to grow. I now employ these methods when I want to save for a new trip. Plan, believe, save! Stop buying frequent drinks out and about. Skip that morning costa coffee and instead invest in a good Water To Go Bottle, (use code GLOBRETROTTERGP to get 15% off) take your water bottle to the gym, meet your friend for a cuppa at one of your houses. Save money in restaurants by looking for some great offers. Apps like Vouchercloud frequently offer 2 for the price of 1 or 50% off mains. Or save even more money by hosting a dinner party for your friends. Skip the gym membership and head to the park, go for a hike and get some exercise in the fresh air. When it comes to clothes shopping, mix it up a little! These days I’ll splash out on quality staple items like a pair of jeans, some quality winter boots or my winter coat that will last the test of time. But I’ll mix it up with cheaper items that won’t break the bank. For any big online payments, for example, car insurance, look first on Topcashback.com I saved £30 on my car insurance going with the exact same company but through Topcashback.com. That’s 2 nights in a decent hostel, 1 night in a guest house or a budget one-way flight to somewhere in Europe sorted! 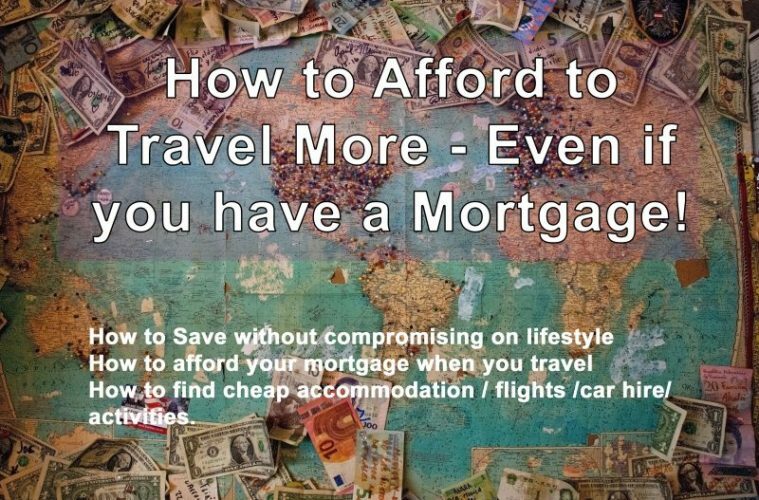 One thing which stops a lot of professionals travelling is a mortgage. Understandably. Mortgages are a royal owch but having a mortgage doesn’t have to stop you from travelling. Here are a few ways you can keep the mortgage payments ticking over whilst exploring the world. Consider getting a lodger. Whilst helping to contribute to your mortgage payments, you’ll also have someone to split the bills with, someone to watch over your house when you’re away and even better, someone to share a bottle of vino after a hard day at work! 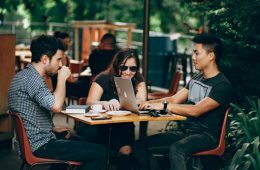 Be selective, but if you can find the right lodger, you can save a lot of money and you may even find a great friend like I did with my first lodger. If you can’t face sharing your home with a stranger on a full-time basis, how about renting your home out for the occasional week or weekend? Consider hosting guests on Airbnb. It can be really lucrative especially if there is a popular event on in your city. An ex of mine lived right opposite a huge stadium. Every time there was a rugby match, he could earn up to £700 by renting out his 1 bedroom flat! Ask around your friends and see if anyone needs temporary accommodation. I was really lucky when I went to South America for 3 months. I happened to mention to a friend that I was worried about leaving my house empty for so long. Turns out she was desperate to find somewhere to live for a while. Problem solved for both of us. So ask about and you may find an easy solution! There are SO many ways to keep the costs down when you travel. Here are just a few. I’m a huge fan of off-peak travel. Not only do you make huge savings, but you also have to battle with smaller crowds and personally I prefer the weather. I’ve never understood why people choose to travel to the hottest countries in the hottest months! Really?! I’d choose comfort over a suntan any day! Be flexible with your travel dates. You can often find amazing flight deals on sky scanner by searching for the whole month instead of specific dates. Shifting your plans by just a few days can save you 30% of the cost of the flight! Research has shown the optimum time for booking a flight is about 6-8 weeks before you fly. Keep an eye on websites like www.secretflying.com for amazing deals, often due to airline errors. Solo travel has a lot of advantages but so does travelling as a group. It’s lovely sharing the experiences with friends you care about. It’s also going to save you money as you split the cost of accommodation, taxis, even meals! Save on car hire by getting an annual car hire insurance policy. 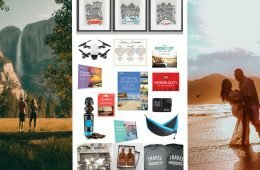 For £40 you can get a years cover with moneysupermarket.com that will cover all car hire in Europe over 1 year. Then you can say no to the car hire companies extortionate insurance policies and save yourself a LOT of money. Save on accommodation by shopping around. Don’t immediately discount hostels, you can find some really nice ones which have private rooms with ensuites. Always compare the local hotel/hostel prices with Airbnb. Airbnb works out particularly cheap if there are several of you staying. If you want a £25 discount off your first booking, then click here. Check out Groupon for some great bargains. Whilst on a skiing holiday recently, I met some girls who had secured a weeks ski holiday (notoriously one of the most expensive types of holiday) for just €350 including ski hire and lessons! Our own ‘budget’ ski holiday had cost us €800. I was more than a little green with envy! 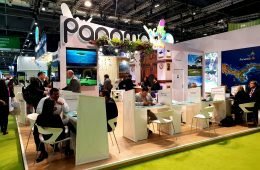 If you plan to visit a lot of attractions and museums when you visit a particular city, check out City Attraction Passes. They can save you a LOT of money but always read and check the activities you want to do are covered first! 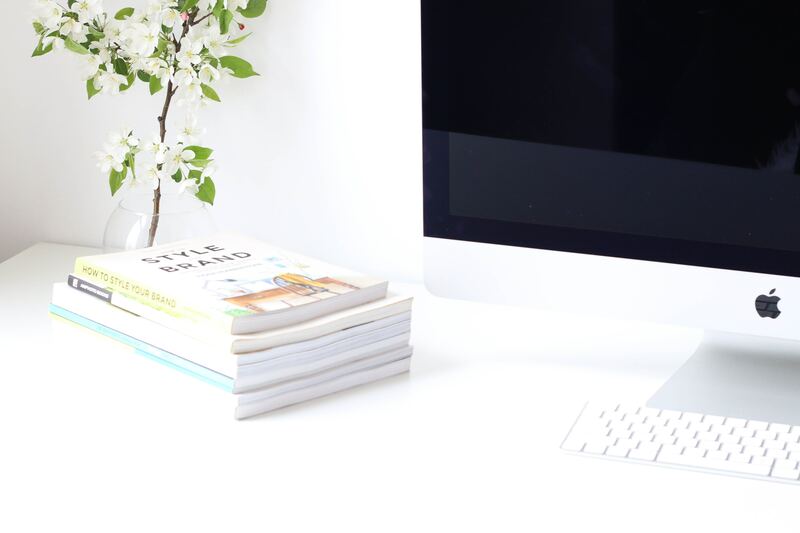 If you are saving the pennies, then fill your time doing things which are totally free! There are plenty of ways to enjoy a city without splashing the cash. Take a picnic in the local park and people watch, read your book on the beach, take a hike, find free museums. In some cities, you will find free walking tours although you will be expected to tip! Do your research. There are zillions of articles out there in the blogosphere all about how to save money in specific cities. Search for ‘free things to do in XYZ’ and you will gain access to plenty ideas about how to travel to your chosen location on a strict budget! Decide what you are willing to sacrifice on your travels. For example, did you know you can actually travel to The Maldives on a budget of $50/day? Yep, I said The MALDIVES! The sacrifice here is that the islands which come with affordable price tags, also have some pretty conservative rules. You can only wear a bikini on certain beaches and you’ll have to wait until you head out on a day trip before you can indulge in a drink or two. For some cocktail sipping sun seekers, this may not be acceptable. For others, this is a great way to see the exotic islands without breaking the bank. You could also consider taking a Maldives budget dhoni cruise which is far cheaper than staying on a resort island. If all else fails and you just don’t have the finances to travel, don’t forget how fun it can be to take a staycation! When was the last time you explored your hometown as a tourist? How many places have you overlooked because there’s always something cropping up and preventing you from visiting? Take a staycation and you may well see a different side of your hometown. 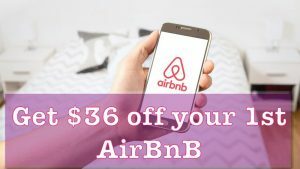 £25 Airbnb Discount code and ways to get accommodation for free or almost free. So I hope I have managed to persuade you that there are ways you can save for travel which won’t be TOO painful. 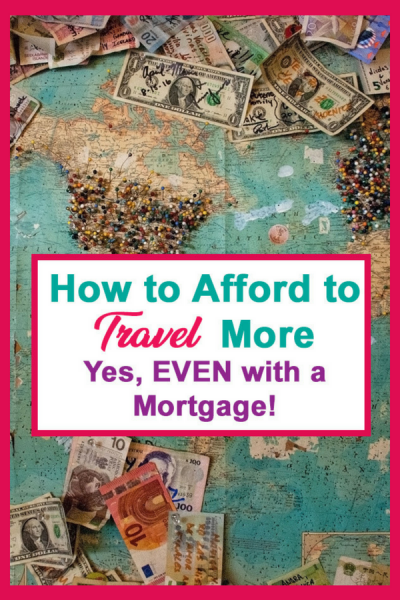 Yes, you can travel EVEN with a mortgage! And there are plenty of ways to travel which won’t completely break the bank! 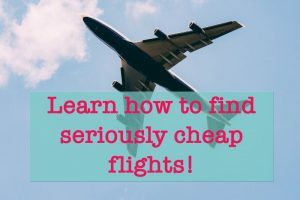 If you’d like to read more about finding a cheap flight (I’ve SO many more ideas where they came from) then hop over to my article on finding cheap flights. Tell us about your amazing travel deals! How do you save money? Any top tips for how to afford to travel more often?! 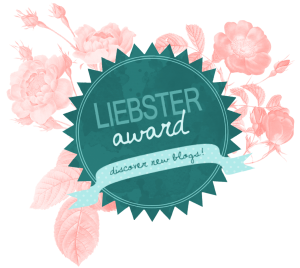 We’d love to hear from you and as always, I really appreciate any shares on social media! Thanks a million! Previous ArticleTravel Photography Essentials for Your Camera Bag! 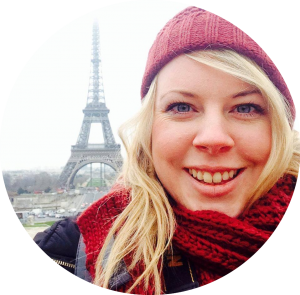 I loved reading your tips on affording travel! We have a kid now and we need to save to travel. That certainly makes it a lot harder to save but hopefully these tips will help. I just read an article about Home swapping which got me intrigued! Home swapping would probably work great for families as often you can also swap cars too! 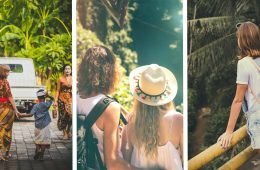 These are great tips especially travelling during off-peak season and travelling to cheaper countries. For me the cheapest countries are often the most interesting! And off peak is better than peak for weather, crowds AND prices! I always forget about TopCashBack – I’m so glad you reminded me! Love these tips! It’s always possible to travel, sometimes you just need to be a little thrifty! We did a Groupon getaway once…all inclusive to an island resort in Belize .I loved it! I also like the advice to travel locally. There’s so many great things if you just look for them.